Delving into the history of masked Japanese heroes fighting rubber suit monsters! Men and women in colored spandex flipping through the air as they battle against rubber suit monsters! Explosions everywhere! Random battles in generic looking forests and quarries! Suddenly, the rubber suit monster grows to a gargantuan size! The spandex colored heroes jump into their toy sales devic- I mean giant mecha! More explosions! To many, this sounds like the latest episode of Power Rangers, but to a certain group of fans, this description serves as a general explanation of a lot of their favorite shows in the tokusatsu superhero genre. For over 50 years, Japanese men and women have shouted a henshin phrase and changed into a masked warrior for justice! But hold on a minute; what’s “tokusatsu“? What’s “henshin“? 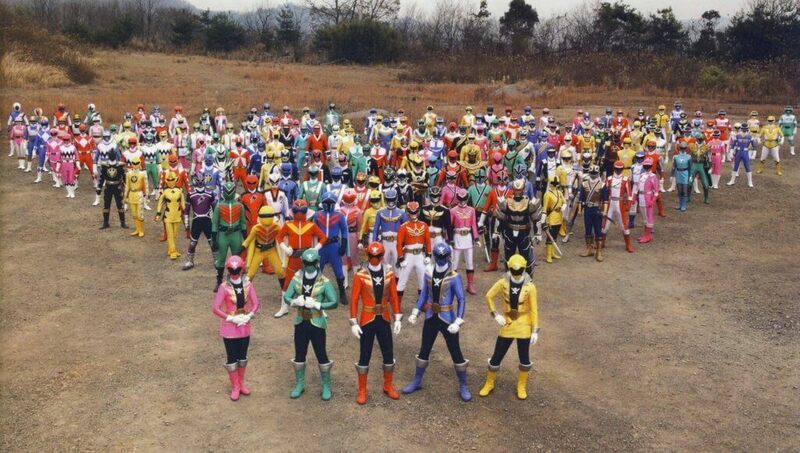 Before we jump into the modern masterpieces of the genre, let’s take it back to the beginning to get a grasp on the Japanese film genre “tokusatsu” and its superhero sub-genre. The word “tokusatsu“, which literally means “special effects”, refers to a group of special effects techniques used primarily in Japanese films. 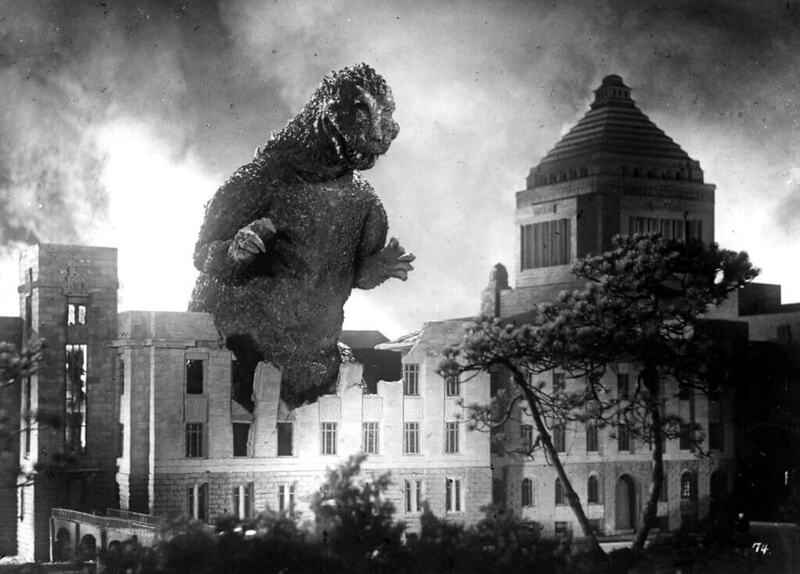 These effects include suitmation (that’s the rubber suit monster bit) and the use of miniature buildings and were first combined and popularized in the starring film of King Kong’s reptilian Japanese cousin, Godzilla. Godzilla was the brainchild of special effects legend Eiji Tsuburaya, director Ishiro Honda, and Toho Studios producer Tomoyuki Tanaka. Using suitmation & miniature buildings, Honda told the story of a giant monster born from nuclear testing. The sets’ intricate and realistic designs and the story’s riveting post-war commentary really struck a chord with audiences and critics alike, with the film taking the Special Effects Award at the 1954 Japan Movie Association Awards. Toho had crafted themselves a real hit, and in 1955, they followed it up with a direct sequel, Godzilla Raids Again. Toho would go on in the following years to create many more monsters, such as Rodan in 1955 and Ghidorah, the Three-Headed Monster in 1956. While Godzilla laid the ground work, these future films moved tokusatsu from a random group of special effects techniques to its own genre. Right in the heyday of the original Godzilla films, the other half of the tokusatsu superhero equation was being formulated. On February 24, 1958, the first episode of Moonlight Mask debuted, and the first televised Japanese superhero was born. An interesting aspect of this series is that the titular hero’s street persona is never revealed, though the audience is welcome to guess who it might be. Could it be the detective, Jūrō Iwai? Is it his bumbling assistant, Gorohachi Fukuro? Perhaps it’s Inspector Matsuda? The mystery of the masked man was one of the thrills of each episode, and children tuned in every week to see the hero burst onto the scene to save the day. Even though television was fairly new technology at the time, Moonlight Mask was an extremely successful show, and just as Godzilla paved the way for giant monster movies, so did Moonlight Mask pave the way for more superhero TV shows. With these, the stage was set. The tokusatsu film techniques of the Godzilla series in one corner. The superhero antics of Moonlight Mask in another. Who should bring them together? None other than Eiji Tsuburaya, the original creator of Godzilla. On July 17, 1966, the first episode of Ultraman premiered, and the landscape of Japanese children’s television was forever changed. A follow-up to a tokusatsu monster series he had created earlier that year, Ultraman tells the story of Shin Hayata, a man who dies in a giant monster incident and fuses with an alien entity named Ultraman. Using a wand called the Beta Capsule, Hayata transforms into the giant hero Ultraman to battle evil alien creatures. Aside from the ingenious move to combine the two most popular film genres in Japanese entertainment, Ultraman brought along some unique staples to its new sub-genre, namely the use of a “henshin” (lit. “transform”) device; in this case, the Beta Capsule. 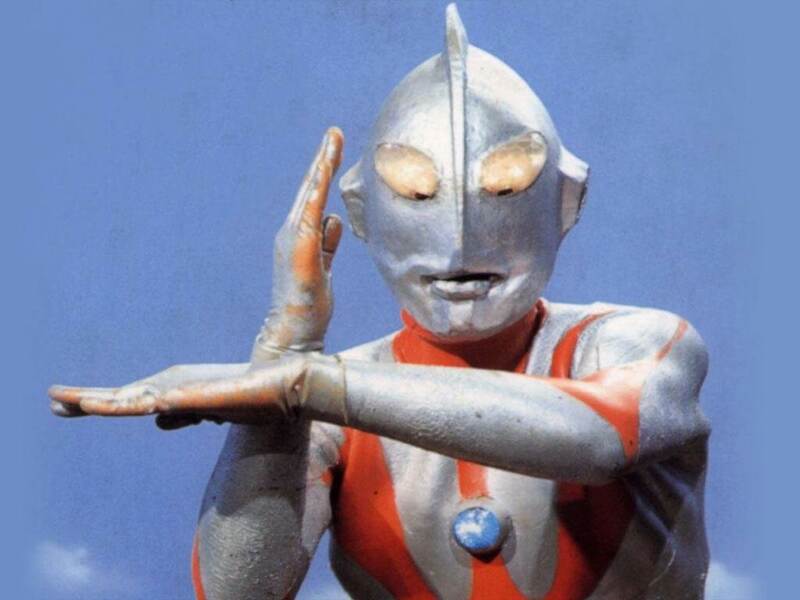 It’s hard to overstate the impact that Ultraman had on the Japanese television scene. After the concept of the tokusatsu hero was first imagined that day in 1966, heroes started popping up left and right, albeit some a bit shorter in stature than their sub-genre’s father. 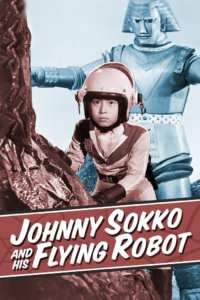 For instance, Ambassador Magma would premiere later that year, and 1967 saw the debut of Giant Robo (better known as Johnny Sokko And His Flying Robot) and Space Tokusatsu Series: Captain Ultra. However, this was only the birth of the sub-genre. It still was to undergo one last evolution before it became the color coated juggernaut we know it as today. As Eiji Tsuburaya was birthing the sub-genre, a teenager in Tome, Miyagi Prefecture was preparing to shape that sub-genre, whether he truly realized it or not. Otastorian is an otaku culture sociologist and historian. He is currently binging through Cardcaptor Sakura. He held off on watching the last two episodes of Lucky Star for almost a year and a half because he didn't "want the experience to end [sad face emoji]". His mission in life is to make sure everyone has watched Otaku No Video.